Which is maybe not as sweet as it sounds. In fact the couple were dating other people, so it wasn't until years later that they actually began their romantic relationship together. They got engaged in Texas, where they're both from - Hunter's grandpa even managed to capture the proposal on camera, much to the bride's suprise. They decided to get married in Ireland simply because it's a country they both love. 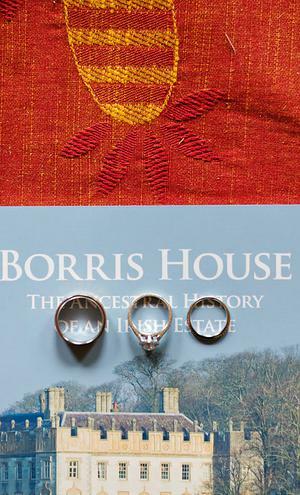 They invited 30 of their closest friends and family to join them at Borris House in Carlow, and because of the small group, felt they were really able to take in every moment. 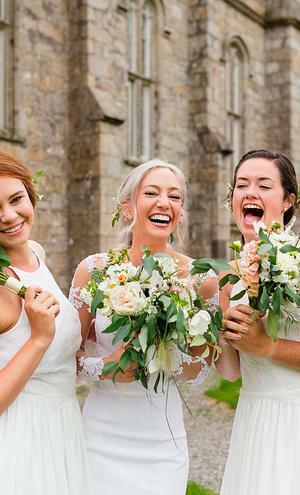 Taking inspiration from Borris House and the surrounding countryside, the couple opted for a modern, romantic theme, without choosing colour palettes or putting together mood boards. 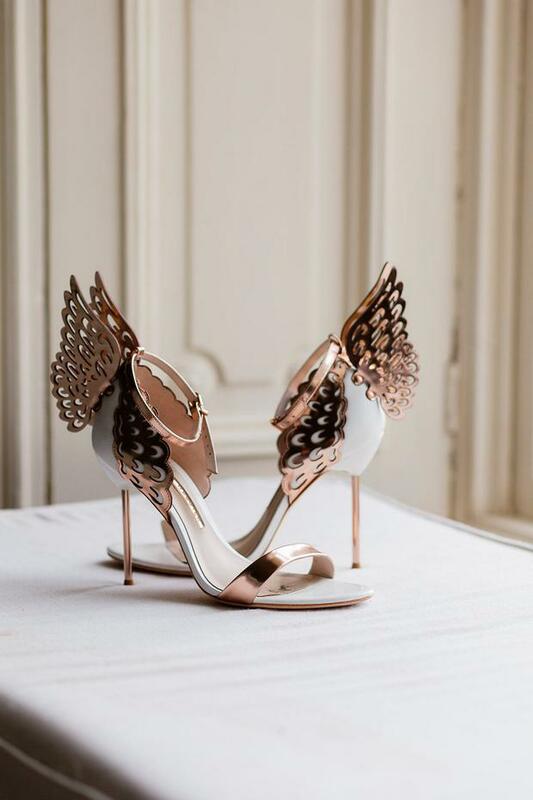 Elizabeth just wanted as much white as possible and, after buying her rose gold shoes, a little bit of metallic in the details. Working with wedding planner House of Hannah they were able to 'attend' their own wedding, so to speak, and not get bogged down in the plans beforehand. They never even saw the venue in person until the day itself. 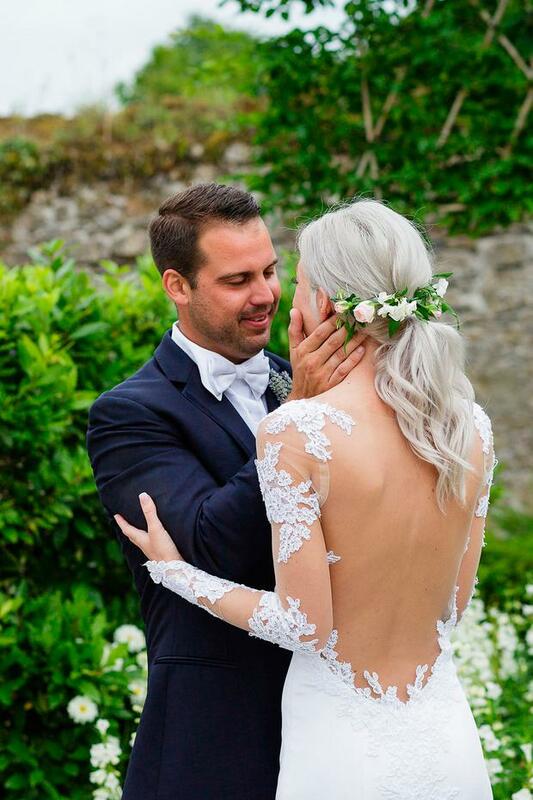 A wedding business was born from their big day, as Elizabeth, who had just graduated design school, made her two wedding dresses for the day, using lace from her mother's own wedding dress. 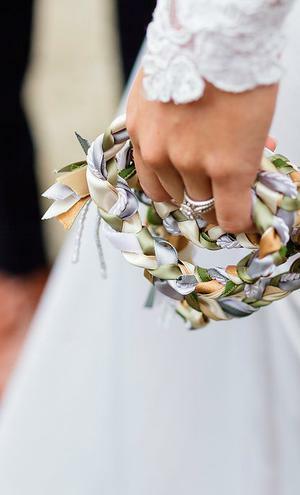 Since she tied the knot she has launched her own bridal label; Elizabeth Leese. 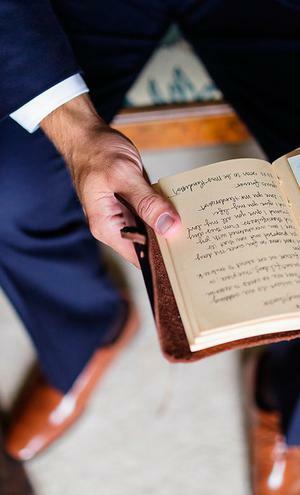 Elizabeth and Hunter's wedding photos are by Katie Kav Photography, their wedding planner was House of Hannah. 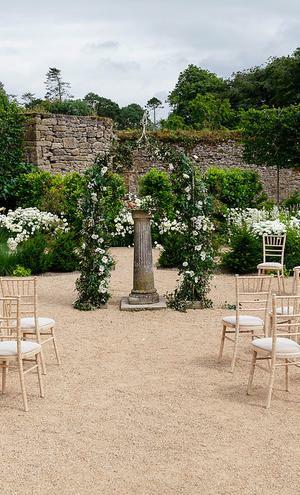 Elizabeth wanted their wedding theme to be modern, but wanted moreso to marry in to the style of the venue and the landscape of Ireland. 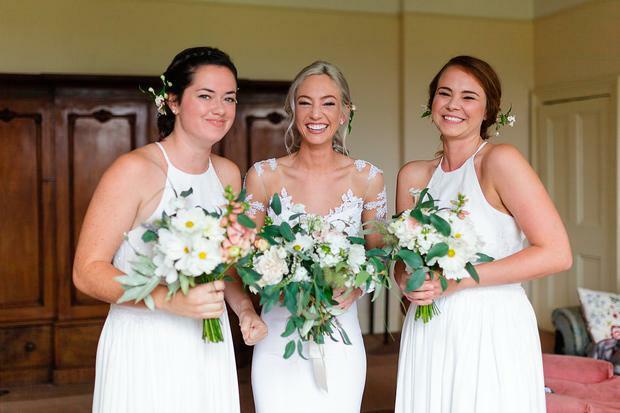 "I don’t think I ever chose wedding colors, but I knew I wanted as much white as possible so I pulled that into my bridesmaids dresses and flowers," she says. 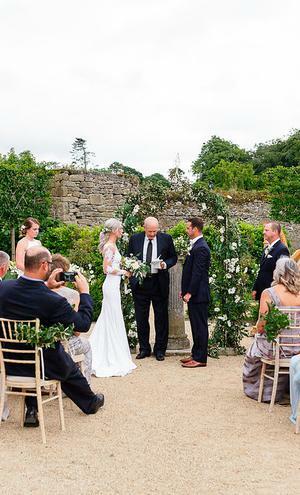 The couple had a short, traditional ceremony incorporating hand-fasting and presided over by the groom's uncle, outside in the venue's 'secret garden', where the all-white flowers were in full bloom. "We were praying it wouldn’t rain," said the bride. "The sky was cloudy but it didn’t rain! It wasn’t until the very end of our ceremony that the Irish blessing was being recited, “may the rain fall softly upon your fields” that Hunter and I both felt a single drop of rain. Once we moved inside to the reception we watched as the rain came down outside the big windows of the ballroom. 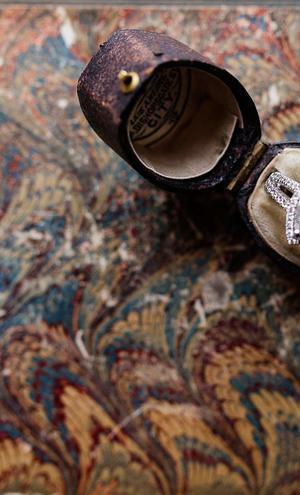 It was straight out of a fairytale." Elizabeth and Hunter got married shortly after the bride graduated design school - so of course Elizabeth made all of her wedding garments herself. 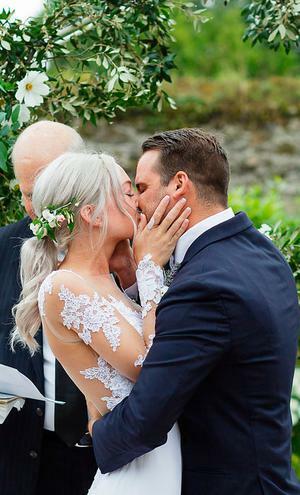 "I made my ceremony dress using silk crepe and lace from my mother’s wedding gown," she says, "it was such a special dress because I was able to repurpose the lace from the sleeves cuffs and train almost exactly like they were on my mother’s original dress. For the reception, I changed into a silk jumper with a beaded Chantilly lace. It had a tulle overskirt that I spun out of on the dancefloor!" Elizabeth also made the bridesmaids dresses, which were white and had the same beaded Chantilly lace as her jumper. To see more of her designs, visit elizabeth-leese.com. 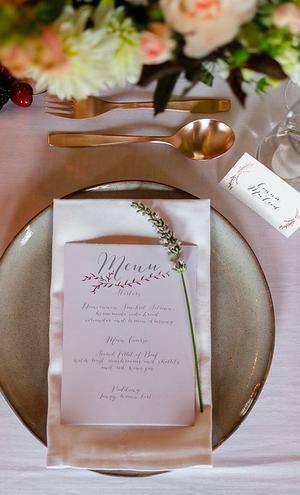 "It’s almost impossible to pinpoint a favorite part of the day," says Elizabeth, "but I do remember how much I loved our reception dinner. We all sat at a gorgeous long table, harpists were playing, a fire was lit, and it was raining softly outside the big windows of the ballroom." 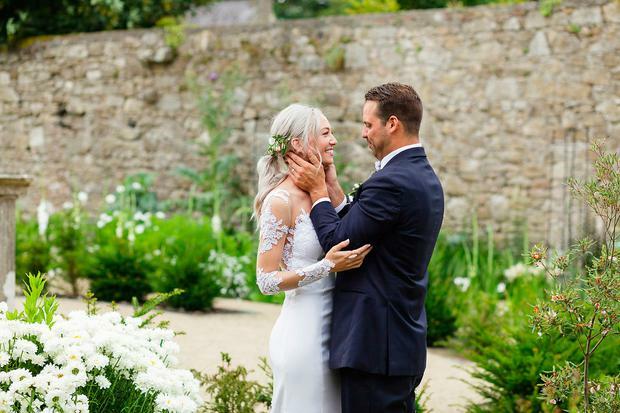 It didn't take much for the couple to fall in love with Borris House - they didn't even see the place in person until the big day! They were both won over by the staff however, which they say was "so incredible and helpful that we knew it would be perfect." "It was more than we could have imagined," says Elizabeth. The couple's flowers were provided by The Wild Bunch, which decorated their venue perfectly. "ll of the flowers were grown and cut from the florist’s garden!" 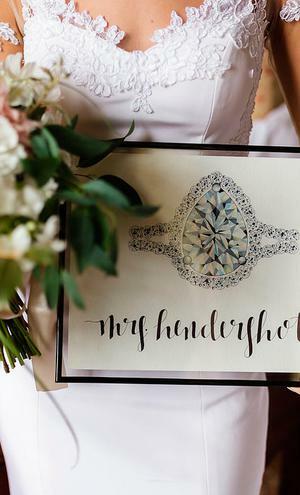 says the bride, "I mean, if that’s not beyond dreamy?! We didn’t ship in anything, but rather opted for all Irish, in-season blooms." Elizabeth and Hunter planned their entire wedding from Texas, with the help of wedding planners House of Hannah. They never tasted the cake or visited any venues. "We essentially just showed up ready for a party," says Elizabeth. 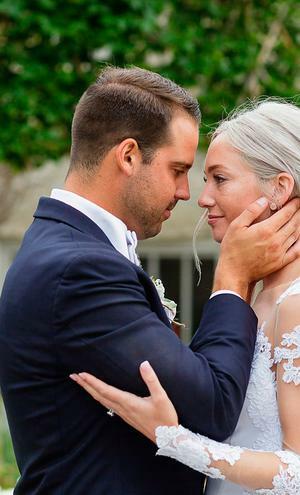 For them, coming to their wedding with no hesitations and 'grand expectations' made them love their day so much more had they been involved with every aspect of it. "We didn’t sweat over millions of details, we just enjoyed our day." So with that said, Elizabeth's advice is; "to keep your wedding day lighthearted! That, and hire a planner. It’s worth every penny." 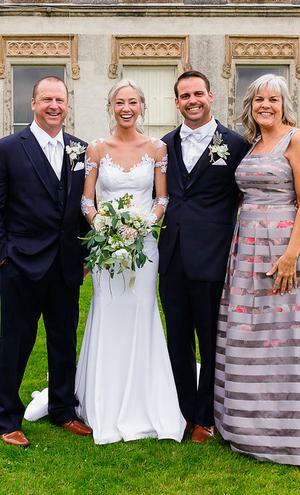 For their honeymoon, the couple rented a car and drove around the coast of Ireland, staying in different towns every night; "It was incredible!"